You may need to know how to turn on or off your Wi-Fi fluently since you don’t want it to be searched all the time. May be you want to do this in order to save the electronic power or other reasons. Thus, follow this article to learn how to achieve it in 4 different yet easy options. 1. Some PCs or devices will have a key on the keyboard or physical switch to turn on or off Wi-Fi. See the shortcuts as below. This option is only available in Windows 8.1 and Windows RT 8.1. 1. Do either step 2 or 3 below for you would like to open Networks. 2. While on your desktop, click/tap on the wireless network icon in the taskbar notification area at the far right, and go to step 4 below. 3. Open the Charms bar, click/tap on the Settings charm, click/tap your wireless network icon, and go to step 4 below. Note: You could also press the Windows + I keys to directly open the Settings charm. 3. Move the Wi-Fi slider to turn on (right) or off (left) for what you want. 1. Open PC Settings, and do step 2 or 3 below for what Windows you have. 2. If you have Windows 8 or Windows RT, then click/tap on Wireless in the left pane, and go to step 4 below. 3. If you have Windows 8.1 or Windows RT 8.1, then click/tap on Network in the left pane. Click/tap on Airplane mode in the left pane, and go to step 4 below. 4. In the right pane under Wireless devices, move the Wi-Fi slider to turn on (right) or off (left) for what you want. 5. When finished, you can close PC settings if you like. Keep these options in handy. Once you need to set or change the settings for your Wi-Fi password, apply for them. In addition, if you forgot your Wi-Fi password unfortunately, just turn to Wi-Fi Password Recovery for help. Windows password recovery tools are used to recover, or reset lost user and administrator passwords used to log on to Windows operating systems. Most people want to choose a free way, like a Windows password recovery program, to find a lost Windows password. Here are the top 5 free Windows password recovery programs available. The Ophcrack Windows password cracker is by far the best free Windows password recovery tool available. You only need a basic knowledge of Windows to crack the Windows password. Simply visit the site, download the free ISO image, burn it to a CD and boot from the CD. The Ophcrack program starts, locates the Windows users accounts, and proceeds to recover the passwords-all automatically. Ophcrack can recover the 10-character password to the administrator account in 40 seconds. Ophcrack supports Windows 7, Windows Vista, and Windows XP. PC Login Now is one of the better free Windows password recovery program ever though it doesn’t actually recover passwords. Instead of discovering and displaying your current Windows password, PC Login Now deletes it, allowing you to access Windows without a password, after which you can create a new one. Even there’s no problem happening but it’s still a little bothersome. It can work on Windows 7, Windows Vista, and Windows XP. Free download this program and boot to a burned CD created with the Offline NT Password & Registry Editor ISO file. You can log in top your Windows account without entering a password at all after running the program. If you like this “password deleting” strategy then I highly recommend this program. Offline NT Password & Registry Editor works basically the same way as PC Login Now, listed below. Offline NT Password & Registry Editor can works on Windows 7, Windows Vista, Windows 2000, and Windows NT. It also works with 64-bit version of these operating systems. Kon-Boot is yet another free password reset program, much like ONTP&RE and PC Login Now. Just burn the program to a disc, boot to it, and you’re off. 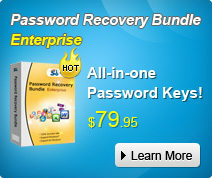 It’s very, very easy to use and probably the fastest password rest, and certainly password recovery, tool available. Unfortunately, Kon-Boot 1.0 doesn’t work with 64-bit version of Windows. Kon-Boot v1.0 can successfully delete the password on a Windows Vista PC and then also on a Windows XP PC. Kon-Boot is reported to also reset Windows 7 passwords but it failed to work actually. As for most users, free Windows password recovery needs a high level of computer skill. What’s worse, Windows 8 system users cannot get a way out. That’s why the Windows Password Recovery comes, which can support Windows 8, 7, Vista, XP, Windows Server 2012, 2011, 2008, 2003, 2000, NT, etc. Step 2. Create a Windows Password Recovery bootable CD/DVD/USB. Step 3. Start to reset the password. As you see, Windows Password Recovery can easily and efficiently reset lost or forgotten Windows password instantly within 3 steps. In an era of high crime rate, people are used to password protect their important and private information such as an important word file, their personal computer, credit card, email, mobile phone etc. But just password protecting it is enough? How often should you change your password? Frequent changing your password is a good practice to ensure your security. Password and any other authentication credential have an expiration data to limit the amount of time a lost, stolen, or forged credential can be used by someone else. Simple passwords used for long periods of time put Davenport University at risk. There are a large number of ways that a password can be compromised: someone watching as a password is entered (a.k.a. “shoulder surfing”), listening to network traffic as a password as transmitted (a.k.a. “sniffing”), or attacking the password directly by attempting to guess it (a.k.a. “brute-force cracking”). By requiring that password be changed periodically, it limits Davenport’s risk from compromised credentials. Then the question is how long should we change our password? It is highly recommended to change password every few month. A hacker need to spend time to guarantee success the attackers attempt to try every possible combination of letters, numbers, and symbols. Even with fast modern computers this still takes a significant amount of time to compute all the different possibilities and test them. The process can take weeks, months, or years, depending on several factors that we will cover later. Periodically change your password make it more difficult for attackers to compromise. Finally, how to change your password? I mean how to make you password more difficult for attackers. Most people only use lower case letters when create a password, but an eight character password consisting of only lower-case letters has approximately 209 billion (26^8 or 209E+9) possible password combinations. If you use upper and lower case letters plus numbers, there are 218 trillion (62^8 or 218E+12) possible passwords. Include symbols in that and the list of possible passwords increases to 6 quadrillion (94^8 or 6E+15). So using numbers or special characters in a password is highly recommended. The only risk of frequently changing a password is that you yourself may forget the password either because mixed it with the older one or with other passwords. Luckily, there are a number of password recovery tools in the market to help you reset your lost password, such as the Windows Password Recovery to reset your forgotten Windows password etc. If you haven’t changed your password for a long time, now it’s the time for you to change it. Frequently change your Windows 8 local user password can effectively protect your computer from malicious hacker as authentication plays an important role wherever the identification of a person is required. In this article we list the way to change Windows 8 local user password in two situations: remember Windows 8 password and forgot Windows 8 password. Press “Windows + I” to open the Settings window and then select “Change PC settings” to open the PC Settings window. On the PC settings window, select the Users on the left and then select the change password option. You’ll be asked to type the current password. Type the password and go to the change password window. On the change password window, enter a new password for your Windows 8 local user account, type the password again to confirm it. Next set a password hint and click “Next”, and then click Finish to save changes. If you happen to forget Windows 8 password, then changing Windows 8 user password is a little complicated as you need to recover your lost Windows 8 password first. If you have set a password hint you can use the clues to remember the password again. Or you have set a Windows 8 password reset disk now you can take a use of it to reset your password. And Windows 8 add picture password and PIN logon as the supplements to user password. If you have set up a picture password or PIN logon in your Windows 8, you are lucky to switch to these password to log into your PC. Moreover, Windows 8 also introduces a new feature: Microsoft account previously known as Windows Live ID, you can also turn to your Micosoft account to log into your computer. However, unfortunately neither of the methods above can solve your problem. Then you can use Smartkey Windows 8 password recovery to reset your forgotten Windows 8 password (Whether you are the administrative user or standard user) in three steps. Step 1: Download and install Windows 8 password recovery on an unlocked computer. Run the software immediately. Step 2: Inset a CD/DVD or USB Flash Drive to create the Windows password reset CD/DVD or USB Flash Drive. Step 3: Insert password reset disk to your locked computer and reset your lost password on Windows 8. The whole process will be done within several minutes. After resetting your Windows 8 user password, you can easily login to your computer and change Windows 8 password with ease. Today people’s security awareness largely increased. We regularly update anti-virus software; avoid giving out personal information to strangers online. But how often do we change your Windows passwords? A basic task that all Windows users should know how to do is to change their password. If your computer becomes compromised or you are concerned that someone may know your password, you should immediately change it in Windows. To do this, please following the steps for the version of Windows you are currently using. How to change Windows password in Windows XP? Step 1: Click on the Start button and then click on the Control Panel option. Step2: When the Control Panel opens, switch to Classic View and then double-click on the User Accounts icon. Step3: If you are an administrator of the computer, you will be shown a screen where you can select the account whose password you would like to change. Please select the account that you wish to manage. Step4: If you are not an administrator you will automatically be brought to “User Account”. Step5: Click on the Change my password option and you will be brought to a page where you can change your password. Step6: Type in your current password and then enter the new one you wish to use. When you are ready to change the password, click on the Change password button. Your Windows password has now been changed and you can close the User Accounts screen and the Control Panel. How to change Windows password in Windows 7? Step1: click on the Start button and then type Change Password in the search field. Step2: When the search results appear, please click “Change your Windows Password”. Step3: Click on the Change your password option and a screen will appear where you can enter the new password. Step4: Type in your current password and then enter the new one you wish to use. When you are ready to change the password, click on the Change password button. Your Windows password has now been changed and you can close the User Accounts screen and the Control Panel. How to change Windows password in Windows 8? Step1: Type change password at the Windows Start Screen. Step2: When the search results appear, click on the Settings category and then click on the Change your password option. Step3: Click on the Change your password option and you will be brought to a screen where you need to confirm your existing password. Step 4: Enter your current password and press the Next button. Step 5: Enter your new password and a hint that will be shown in the event that you forget it. When you are ready click on the Next button and you will be brought to a page where Windows 8 confirms that you wish to makes the changes. Step6: If you wish to change your password click on the Finish button. Your Windows 8 password will now have been changed and you can close the PC Settings screen. Changing Windows passwords can be an easy thing if you already have the older password but what if I forgot current Windows password? In this occasion, all you need is Windows Password Recovery software to recover your current Windows password first then you can change your Windows password following the steps above.